After reading this Resorts Casino Review, use the promo code and get a 100% match bonus up to $1,000. The Resorts online casino gambling site falls among the first online betting platforms to be established in New Jersey. If you’ve ever wondered what this platform is all about, then this Resorts online review intends to show you all the good things that you’ll find in the lobby once you become a registered member. The following table contains all the details about various promotions offered by the brand. Resorts casino currently offers new players a welcome bonus worth up to 100% in matched bonus cash that goes up to a maximum of $1,000. Bear in mind that, you must be having a real money account for you to cash in on this bonus. Just in case you were wondering, to get the Resorts online casino bonus it only takes a few simple steps as follows, after you complete your account creation process. Log into your Resort online casino account. Tap the 100% ‘get up to $1000’ promotional image in the promotions tab for more details. Click the ‘My Bonuses’ button under the ‘My Account’ menu. Beneath Active bonuses click on ‘DEPOSIT’. Then follow the instructions on the screen to load your initial deposit. After successfully making your initial deposit at the Resorts casino, your account will immediately be credited with the matching bonus funds for wagering. Then after you can now enjoy your bonus funds. The matched first deposit welcome bonus offered by Resorts casino is above average by New Jersey standards. And if you didn’t know, for most New Jersey players, this Resorts online casino bonus is better than what is offered at Tropicana, PlaySugarHouse, and at par with what’s offered at playMGM, Betfair, and Golden Nugget. This makes it one of the finest deals that you can grab online in the United States betting space at large. Even though the $1,000-bonus is quite attractive when you base it purely on size, it comes with a 30x wagering/playthrough requirement which implies you’ll have to put your grinding limit on. If let’s say you sign up for an account and deposit $100, the online casino will award you an extra $100 for free (since the match is 100%). So, for you to be able to withdraw this cash, you must wager 30×100 which equals to $3,000. The x30 wagering requirement, however, is only applicable to slots games. If you other casino games such as table games, Roulette, and Video Poker you’ll have to wager 150x the bonus amount. While the wagering requirements of this offer seem a bit high especially for the table and card games, many of the titles have an RTP of 96% or more. Thus, you ought to have the ability to dig out some positive value from the bonus. However, ensure you avoid the high volatility games such as roulette whose volatility doesn’t justify the 150x bonus wagering requirement. 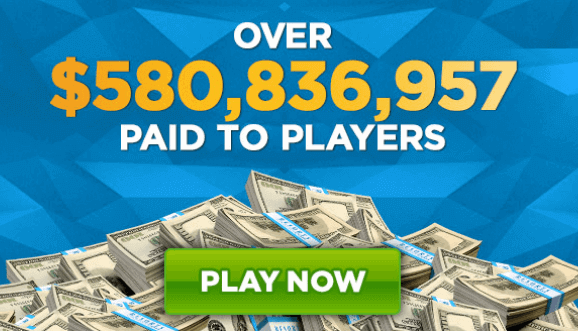 Playing the games offered by Resorts casino every day could earn you up to $3,000,000! One impressive thing that we noted during our Resorts online review is that, even when you lose at the classics section, you’ll still receive something for your time. The casino repays it gamers via Resorts Rewards which is a VIP/loyalty program that awards complimentary hotel stays, discounts on entertainment, your own dedicated VIP host, room upgrades, plus free cash for your points and the list goes on and on. Essentially, in this program, you wager real money and earn points by climbing up the loyalty ladder. Later on, you can redeem the points for real money. Such bonus schemes are why the Resorts online casino rating is quite high. Just like in most of the online casinos, Resorts casino users earn loyalty points referred to as Reward Points by placing real money bets. Here’s how you can stack up Resorts online casino bonus points as you spend time in the lobby. 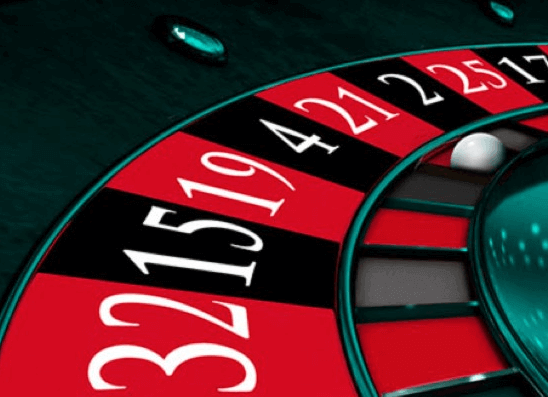 Resorts online casino roulette- you’ll earn 1 point for every $4 staked. The total points accumulated in one month is used to determine your loyalty rank for the following month. Subject to the level, you’ll have to pay more or fewer reward points to receive $1 in cash. This, in essence, implies that the whole program is a tiered cashback system. At the moment, the online casino features 5 standard tiers and four VIP tiers. Now there are several different tier levels you can achieve by playing. From the illustration above you realize that the system greatly favors the games that have high volatility. In spite of this, these variations are a bit big, particularly when compared to gaming sites like Pala casino where for slots its 0.34%, 0.21% on table games, 0.16 on video poker, and that’s for the lowest account level. At the end of the day, the effect of the VIP/loyalty program on returns is small for all but the dedicated gamblers. This is yet again another factor that keeps the Resorts online casino rating higher than average. With more than 600 games in its portfolio, Resorts online casino is one of the highest rated casinos in New Jersey in terms of the variety of games. The only NJ casinos that are a bit close are Mohegan, Playsugarhouse, and Gold Nugget online casino. Currently, there are over 500 slots at Resorts online casino plus numerous various table games, video poker, and scratch card titles. In terms of Return to Player (RTP), most of these video games will have an RTP ranging between 97-98%. One notable exemption is Jacks or Better whose RTP is 99.54%. It’s also worth observing that for a Royal Flush pays out 800 coins. From such high RTPs, the Resorts online casino rating climbs even higher among video poker fans. On the whole, the video poker varieties at Resorts casino are great for people lacking a strong bankroll. Then again their low rate of contribution makes them a bit ill-suited for clearing the casino bonuses. The rules for the game vary from one variant to another. For the two standard blackjack versions, the dealer will stand on hard 17’s, whereas in Atlantic City Blackjack, Vegas Blackjack, and Micro Limit Blackjack the dealer stands on 17’s. The natural normally pay out 3:2. The number of decks can vary from 1 in Atlantic City blackjack to 8 in Micro Limit Blackjack, and for the majority of the variants, the minimum wager is $0.10. When it comes to slots, Resorts leads the way. At this moment in time, the collection of Resorts online casino slot games brags of more than 500 titles, and to make things even better, new titles are added regularly. This is more consistent with the European standards and obviously ahead of what to expect from a casino site operating on a restricted market. Most significantly, Resorts online casino receives it slots games from first-class software developers like NetEntertainment, IGT, Aristocrat, Williams Interactive, and SG Gaming. The graphics sound effects, and bonuses in these games are considerably much better than the ones you’ll find in games developed for offshore sites facing the US. All the same, it’s worth observing that even as Resorts casino spreads a variety of titles, there is virtually none of them that is exclusive. A large number can be found at other New Jersey-facing casinos. Some of the slots games at Resorts are Jack and the Bean Stalk, Mata Hari, Heart of Romance, Guns N’ Roses Slot, Gods of Fortune, Da Vinci Diamond and numerous others. The list is so long. You can check the site for a full look at all the slots games offered. Just in case you were worried about your bankroll then you shouldn’t be worried anymore. You’ll be happy to realize that most of the games let you wager on all lines for not more than $0.50. Even in the slots games having hundreds of paying lines, the total amount you require to cover all the likely combinations is always less than or equal to $2. For those who would like to bet in real time for the authentic Vegas feel, there are also versions of Resorts online live roulette games such as the Resorts online Live American Roulette that you can play. Other than blackjack and titles like Resorts casino live roulette, the house also offers other kinds of games such as Three Card Poker, Let it Ride, and No commission Baccarat. Also, if you enjoy playing scratchers, then you can take your pick from numerous various games with Witch Pickings, and Doubleplay Super Bet being amongst the latest additions. Mobile users can pick between the dedicated mobile app and the browser version of the casino. The app is available for mobile devices (smartphones and tablets) running on both Android and iOS operating systems. For the Android version of the app, you can download its .apk and install directly from the Resorts website. On the other hand, the iOS version can directly be downloaded from the iTunes store. Via Live Chat. The Live Chat icon is always available at the lower right-hand corner of the casino website. From the time when gambling was legalized in New Jersey in 2013, the native online casinos have been offering a responsible environment for gaming. To offer assistance to players gamers who are fighting betting addiction, this casino offers access to The Council on Compulsive Gambling of New Jersey Inc. (CCGNJ) site. In abiding by that spirit, Resort’s casino credit line is put through NJCCC regulations with a minimum gambling age requirement of 21+ years. The purpose of responsible online gaming environment is to pass on training and awareness programs connected with betting and share helpful information concerning aid resources for obsessive betting habits. Resorts AC has even put up “The Problem Gambling Helpline” to offer assistance to betting addicts 24 hours a day, 7 days a week. Resorts Casino licensed in New Jersey; hence it’s a reputable gaming site for New Jersey players. The New Jersey Division of Gaming Enforcement supervises and controls every kind of gaming on NJ Resorts Online Casino to make certain that gamers play fair and are safe. All Players must be 21 years or older and be residing in New Jersey state boundaries to play real money games. Resorts Casino NJ makes use of a geolocation software on its gaming platform to make sure that all players gaming at the site is within New Jersey. On the other hand, in case you’re not within New Jersey, you can still have access to various social games to have fun or enhance your gaming skills. The Resorts online casino rating of 4/5 is quite high. The gambling site is only available for gamers who have attained the legal gambling age of 21+ years and are residing in New Jersey. As long as you are over 21, you can enjoy all kinds of casino games, from slots to tables, the Resorts online casino wheel or even video poker games. Wrapping up this exclusive Resort Online Casino review, it’s important to point out that all the sections plus features of the platform that we’ve examined above play a part in realizing maximum player satisfaction. The merit of this site’s service is in its ability to bring together game variety and RNG requirements, a handful of payment methods with high-end encryption plus generous promotions and rewarding VIP loyalty scheme. The selection of table and card games could be better.